Need to convert a digital multi-track signal to analog or vice versa? 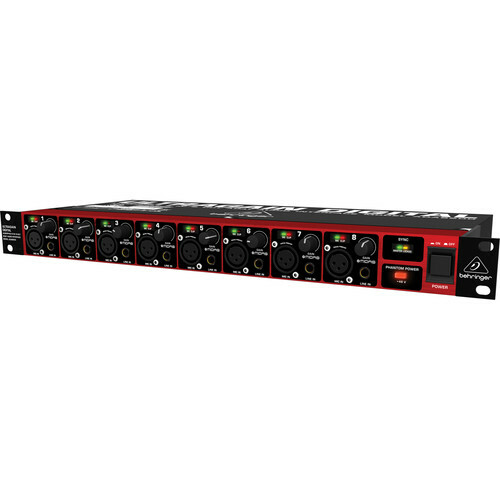 The ULTRAGAIN DIGITAL ADA8200 Audiophile 8 In/8 Out ADAT Audio Interface is easy to operate, fits neatly into a single rack space, and due to its 8 state-of-the-art MIDAS-designed Mic Preamps and integrated A/D and D/A converters you'll get optimal signal conversion-without a hint of distortion or signal deterioration! The ADA8200 offers Phantom power on all mic inputs and Optical ADAT in/out interface for ultimate compatibility.